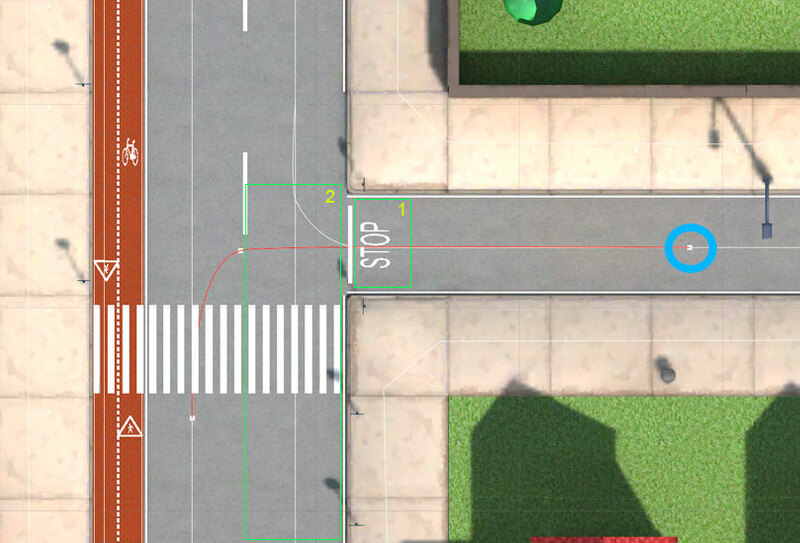 Biko is a set of two games to teach students of different ages how to drive a vehicle on the road. These games were created in 2 months by a 1+1 team (one programmer and one artist) using unity, and the target platform was a iPad 1. First game teachs students from 14 to 16 years the traffic signals and rules to drive a motorbike throught the city. 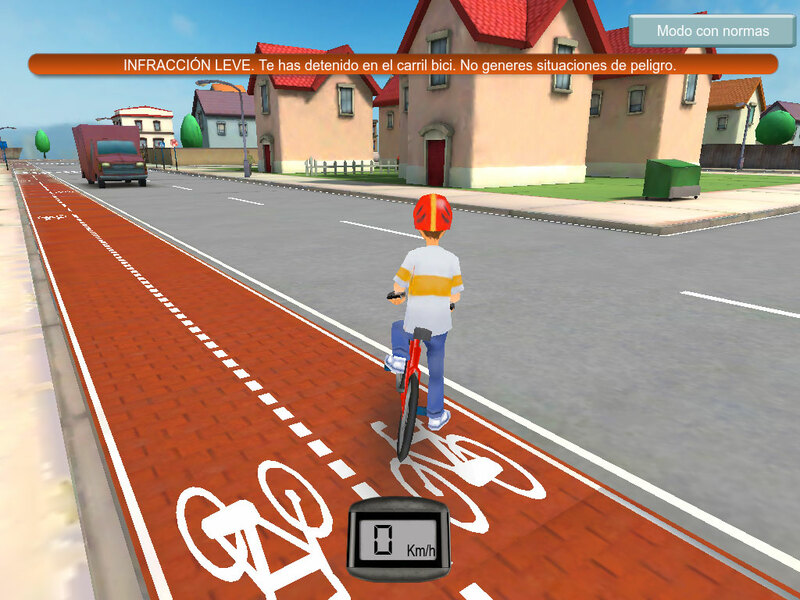 The second game teachs young students from 10 to 12 years how to ride a bike safely through the city. Vehicle can goes in that way. In some ways, trucks are forbidden. Way occupancy. If one way is saturated with vehicles, the vehicle selects the other way. Random probability. One way can have more probability to be used than others. Green volumes (marked as 1 and 2) define a stop signal. When a vehicle enters in volume 1, it stops completely and it will be stopped while there are other vehicles in volume 2. The rest of signals works in the same way. On volume define the signal zone, and any number of volumes define "listeners" zones to check if there are something inside (others vehicles or pedestrians).